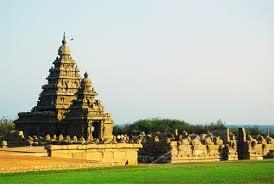 Here is Some Information about Shore Temple in Mahabalipuram Tamil Nadu India. 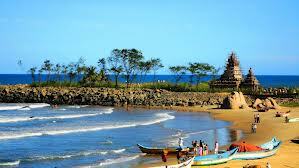 The Shore Temple on the Bay of Bengal was constructed in the 7th century during the rule of King Narsimha-Varman II Rajasimh.It is one among the oldest temples that can be seen in South India and is structured in the Dravidian style. It has recently come into more limelight as it has got its name on the list of the world heritage sites of the UNESCO. Various artistic carvings can be witnessed throughout the temple. Three different buildings make up the temple. 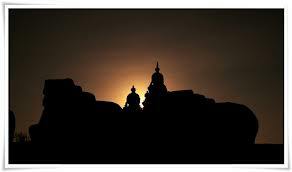 Two among them are Shiva temples that face east and west. The third one is a Vishnu temple. 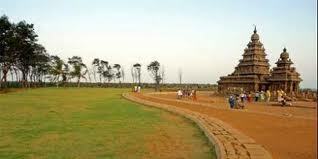 It is one of the major Mahabalipuram attractions. Shore Temple of Mahabalipuram also claims the distinction of being the first Pallava structure to be constructed of stone, rather than being carved out of stone. The shikhar (spire) of the temple is of a towering, tiered style, and not rounded like those of the vihara design. The main shrine inside the complex is situated in the east and faces the sea. Behind this are the gateway, the forecourt and the assembly hall of the temple. 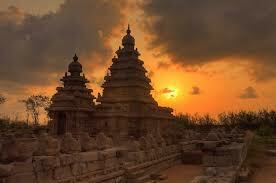 There are shrines dedicated to both Lord Shiva and Lord Vishnu in the Shore temple. The sanctum sanctorum as well as the smaller temple in the west is dedicated to Lord Shiva. The walls surrounding these shrines are adorned with the images of Nandi Bull. Between these two shrines, there is a third shrine also, which is dedicated to Lord Vishnu. The idol of the Lord illustrates Him as reclining on the serpent Seshnag, a Hindu symbol for consciousness. The sculpted panels of this shrine portray vigorous earthly beauties, which seem to be imbibed with life and display breathtaking beauty. 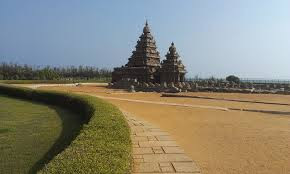 The temples of Mamallapuram, built largely during the reigns of Narasimhavarman and his successor Rajasimhavarman, showcase the movement from rock-cut architecture to structural building. 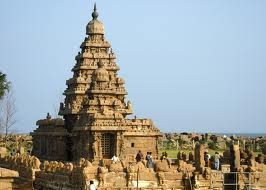 The mandapa or pavilions and the rathas or shrines shaped as temple chariots are hewn from the granite rock face, while the famed Shore Temple, erected half a century later, is built from dressed what makes Mamallapuram so culturally resonant are the influences it absorbs and disseminates. 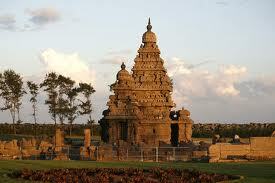 The Shore Temple includes many bas reliefs including one 100 ft. long and 45 ft. high carved out of granite. All but one of the rathas from the first phase of Pallava architecture are modelled on the Budhist viharas or monasteries and chaitya halls with several cells arranged around a courtyard. Art historian Percy Brown, in fact, traces the possible roots of the Pallava Mandapa to the similar rock-cut caves of Ajanta Caves and Ellora Caves. 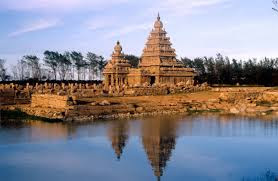 Referring to Narasimhavarman’s victory in AD 642 over the Chalukyan king Pulakesin II, Brown says the Pallava king may have brought the sculptors and artisans back to Kanchi and Mamallapuram as ’spoils of war’. 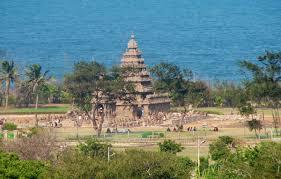 By Air :Chennai is the closest airport from Mammallapuram Shore Temple.It is 76 Km From the shore temple. By Rail :Chengalpattu is 29 km from Mahabalipuram Shore Temple is the nearest railway station from here. There are regular trains from here connecting to Chennai and other places of all over the country. 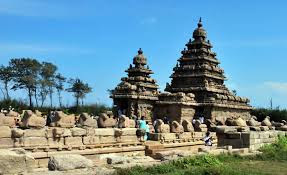 By Road :Mahabalipuram has a good road-network, connecting to all mejor places like Chennai, Tirukkalikundram,Kanchipuram and Pondicherry.One can easily reach Shore Temple by taking regular Buses or by hiring Taxis from anywhere in Tamil Nadu.